Getting into the Valentine’s Day spirit. 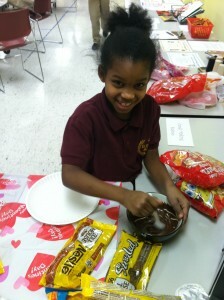 Jada mixing melted chocolate to set into candy molds. 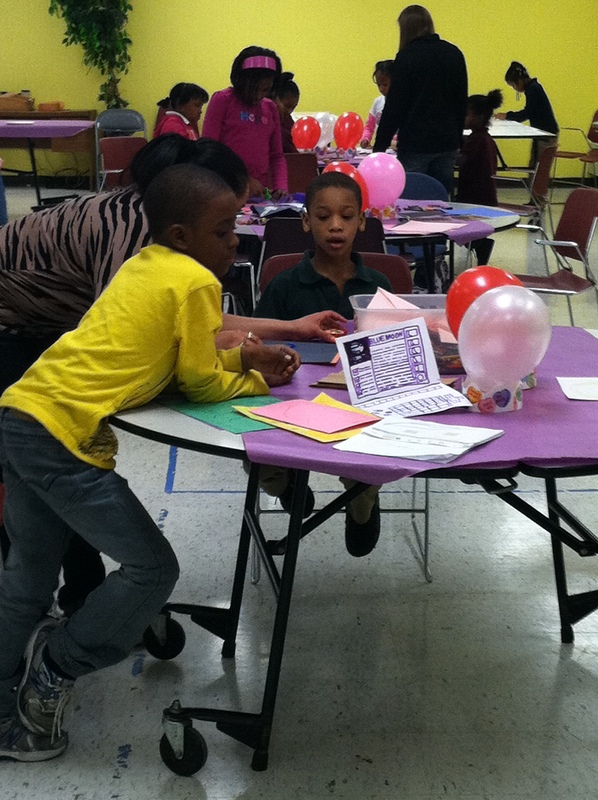 Some of the children making Valentine's Day cards for their families and friends. 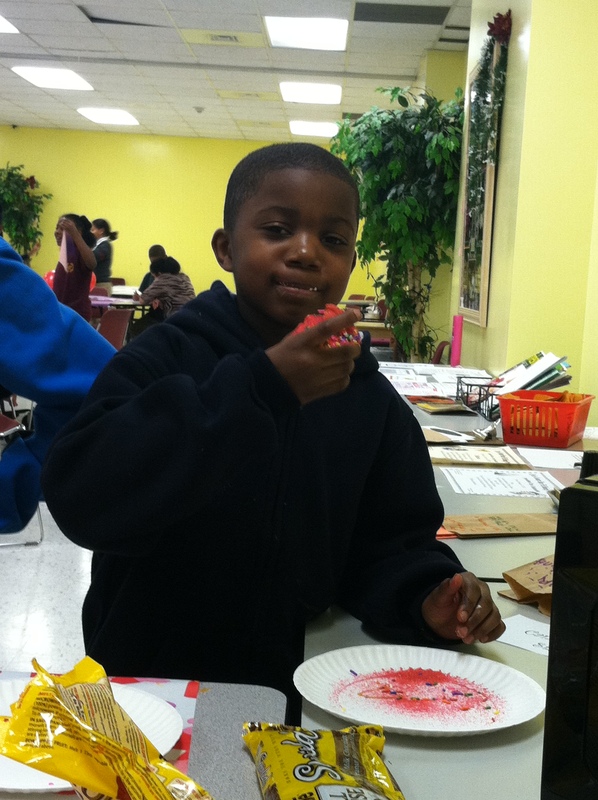 Michael biting into a cupcake he decorated! 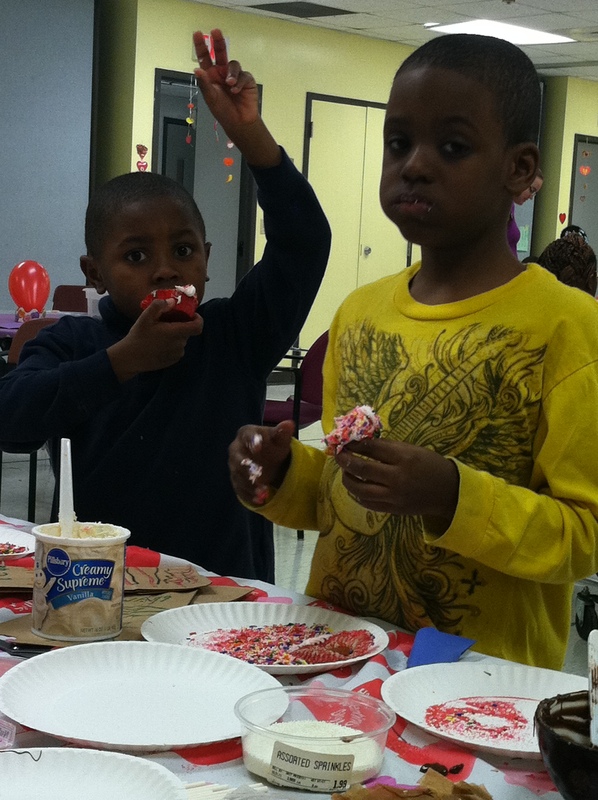 Kenny and Jayden enjoying their self-designed cupcakes (but mostly eating sprinkles).